Last week, while the rest of his peers were knee-deep in selfie drones, wearables, and smart washers, Mark Gurman of 9to5mac published a scoop that trumped anything to come out of the Las Vegas Convention Center. 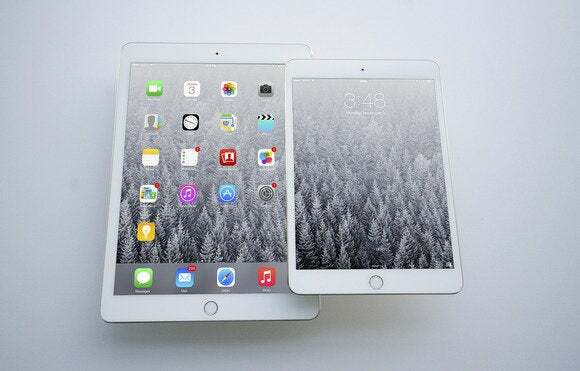 Apple intended to release a 12-inch MacBook Air sometime in 2015. Ho-hum, right? Maybe not. It’s not just that he reported about an unreleased Apple product that no one had an inkling of (though that surely helped). Gurman’s report garnered so much attention because it described a laptop so intriguing it was practically unbelievable: a MacBook Air so thin and light that it had only two ports, and neither of them were dedicated to supplying power. In the renderings it seems like a fantastical concept, something we would ooh and aah over on Dribbble but ultimately disregard due to practicality and realism. But Gurman supplies enough solid information to make the report believable (and his solid track record doesn’t hurt). And when you break it down, it’s not all that crazy. 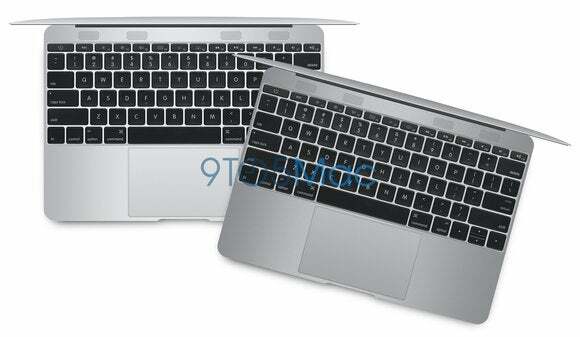 In 9to5 Mac's rendering, the "old" MacBook Air looks chubby in comparison. Apple will forever be remembered for the Mac, iPod, iPhone, iPad, and whatever its next revolutionary product may be (Apple Watch anyone?). But what history won’t remember quite as well are the little risks it took that helped pave the way for these products. Had Gurman published a report in January 1998 about Apple working on a blue, all-in-one machine with no floppy drive or serial port, it would have been met with a fair amount of skepticism. 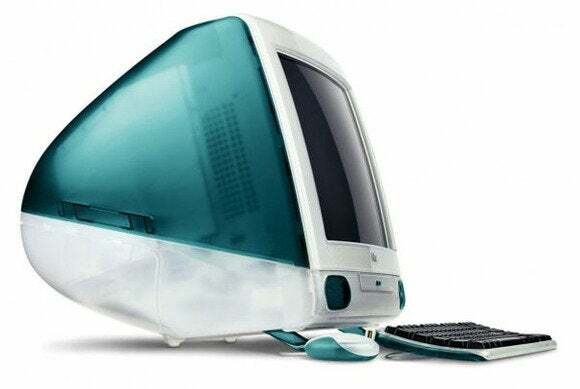 Looking back, it seems obvious, but at the time of the original iMac’s introduction, it was a radical departure from what people expected from a personal computer (and that’s to say nothing of its circular mouse). CD-Rs had yet to really take off and the thought of giving up 3.5-inch floppy disks was a frightening notion, despite the obvious benefits. But Apple saw the future and dragged us into it. You may recall this little risk that Apple took, once upon a time. The same is true of the original MacBook Air. To look at it was to want one, but much like the iMac, the stunning design came at a hefty price for anyone who wanted a built-in optical drive, FireWire, or Gigabit Ethernet (none of which were to be found on this laptop). But no matter, it set the tone for a whole new generation of laptops, and now everything out there looks and acts a whole lot like the original Air. And it’s no coincidence that CDs are going the way of the dodo. Rarely, if ever, has Apple guessed wrong when it comes to soon-to-be-obsolete technology. It reads the writing on the wall like no other company can, and has set the tone for the industry since the early days of the Mac. So if this new MacBook is real, you can bet Apple is already looking much further down the road. Apple has been relatively slow to embrace the cloud as much more than a background saving and syncing solution, but iOS 8 and Yosemite have laid the groundwork for a major iCloud transition. There’s iCloud Drive, which finally allows some access to our online files; iCloud Photo Library for keeping track of every picture you snap; and the orderly convenience of Family Sharing (when it eventually works as intended), not to mention a new palatable pricing scheme. We could very well be seeing Apple’s answer to the Chromebook. There has already been speculation that the new machine portends Apple’s long-awaited entrance into the budget-PC market, and while I highly doubt we’re going to see a $199 MacBook anytime soon, an iPad-esque $499 model with a 16GB hard drive isn’t all that crazy of a notion. While Internet-dependent machines may still be something of a niche product, it’s one that’s growing fast, particularly in the education sector. Just a few short years ago, the iPad was primed to take over the classroom, but the post-PC has been slow to catch on. Growth of the tablet market has significantly slowed over the past 12 months and schools in particular have begun looking for cheaper alternatives. Apple has already lost a massive $1.3 billion deal with the Los Angeles Unified School District that would have provided an iPad for every student, and I’m thinking this isn’t a market segment where the company wants to lose any more ground. You mean this isn't Apple's only bet on the future of portable computing? Tim Cook may have called slowing iPad sales a “speed bump,” but the fact is that people aren’t quite ready to abandon their PCs. High-end Mac sales are stronger than ever, and the iPad hasn’t quite taken over the low-end of the market like Apple thought it would. Apple doesn’t usually compete in the shallow profit-end of the pool, but remember, the MacBook Air already sells for half of its original $1,799 price. With iCloud, a small hard drive and a two-port design, this new MacBook might give Apple an opportunity to go even lower. Based on Gurman’s description and 9to5Mac’s renderings, expansion is clearly going to be an issue. With a headphone jack and a sole USB-C port, many devices are going to be competing for its attention, especially if it’s plugged into an outlet. But much like the MacBook Air introduced Remote Disk to solve the problem of needing to plug in an external SuperDrive every time you wanted to transfer a file or install a new program, I’m sure Apple is already thinking of innovative ways to handle this. The good news is that USB-C is backwards-compatible with USB 2 and 3, so the vast majority of devices will work fine with an adapter, which Apple is sure to provi… er, sell… just as it does with the Air’s USB Ethernet adapter. But dongles aren’t pretty, and if the goal of this machine is to be nearly-wireless, there’s another path that Apple could take: magnets. MagSafe already makes use of magnets from a quick-release standpoint on the rest of the MacBook line and Apple Watch, but if this new notebook shuns the traditional power cable, the time may be ripe for a whole new standard. Intel and the Alliance for Wireless Power have already shown off their Rezence wireless charging technology, and its capabilities are pretty mind-blowing. Of course, a USB-C charging cord would still be necessary for travel, but a wireless charging pad that keeps your MacBook juiced up while at your desk would not only be a major selling point, it would pave the way for the next generation of iOS products that don’t need to be plugged in quite so often. But most of all, it’s a reason to get excited about the Mac again. Mac Pros and retina 5K iMacs aside, there’s so much attention slathered on the iPhone and iPad, we can sometimes forget that Apple is still a world-class computer maker. If Gurman’s right, Tim Cook is about to serve up a giant reminder.